The Hon. 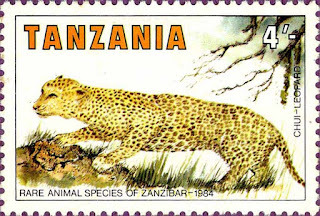 Member's knowledge of his own islands' fauna was evidently on par with that of the brains behind the "Rare Animals of Zanzibar" series of stamps that was issued in the mid-1980s. 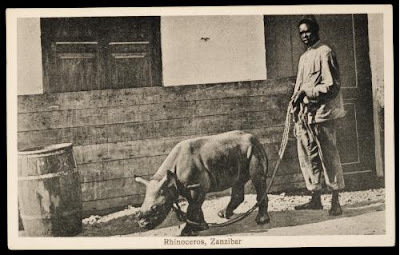 Two of the mammals depicted, a rhinoceros and a pangolin, have never occurred in the wild in Zanzibar, at least not since Unguja became an island at the end of the last Ice Age. The same applies to impala, zebra, and ostrich. And although Ader's duiker (Cephalophus adersi) is classed as critically endangered, a small population still survives on Unguja island. Honourable Speaker, please allow me to inform your respected Parliament that impala, zebra, and ostrich are not native to Zanzibar, but were taken there in 1980 for a show. Once the show was over, they were put into a zoo in the forest at Dole Masingini. Prof. Maghembe went on to explain that there were currently no plans to import and release such animals into the wild in Zanzibar, and gave the obvious ecological and other reasons for not doing so. He also gave an update on the status of the near-endemic Ader's duiker. "The only animal thought to have disappeared from the forests of Zanzibar", he added, "is the Zanzibar leopard (Panthera pardus adersi ["adders" in the original])." I don't know what motivated the CCM MP's question: by and large Zanzibar manages its own natural resources without reference to the mainland, and Zanzibar's wildlife isn't a normal topic of debate in the national parliament. But I do know that the liberalisation of the economy and growth of (eco)tourism in Zanzibar has made people aware of the money-making potential of zoos and animal enclosures in a way that the state-controlled experiment at Masingini could never have done. 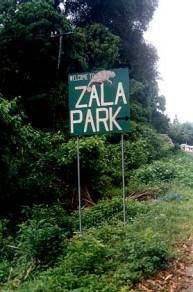 Mohammed Ayoub Haji's Zala Park, a small zoo that is best known for its reptiles, was opened in Muungoni village, close to Jozani Forest, in the mid-1990s. For a long time this was the only facility of its kind, but more recently Zanzibar's political and economic elite have begun to muscle in on the action. There's now at least one private zoo on Unguja owned by a prominent businessman. Latest on the scene is Zanzibar Park, located on a 20-acre site by the Mwera road, 3 km east of Zanzibar town. This zoo's flashy website suggests that it's a step up from Zala Park in ambition and scale -- perhaps not surprising, given that it's said to be owned by Zanzibar's First Lady, Shadya Amani Karume. It opened to the public in October 2009, and houses at least some of the species mentioned by Hon. Ame in his parliamentary question. One animal that's unlikely to appear in Zanzibar Park anytime soon is the Zanzibar leopard. As Prof. Maghembe suggested, some zoologists think that it's extinct, though this is by no means certain (Goldman and Walsh 2002). But lack of scientific corroboration hasn't stopped the rural inhabitants of Unguja from seeing this island endemic, or believing that leopards are still being kept and used by witches (wachawi) to frighten their fellow villagers and attack their livestock (Goldman and Walsh 1997; Walsh and Goldman 2007). Leopard-keeping narratives are so pervasive and persuasive that some foreign researchers have fallen for them and gone in search of domesticated leopards. Needless to say, these kept leopard chases have always proved futile. Likewise proposals emanating from the Government of Zanzibar and local conservationists that call for leopard-keepers to display or sell their leopards for display to tourists and other fee-paying members of the public (Ame 2003). Helle Goldman and I have written about this at greater length in a recent workshop paper (Walsh and Goldman 2010), and both the abstract and now part of the text can be seen on our Zanzibar leopard blog. * My translation from the Swahili. Ame, Mwantanga 2003. Serikali iko tayari kununua chui. Zanzibar Leo, Sunday 13 April 2003, 6. Goldman, Helle and Martin Walsh 1997. A Leopard in Jeopardy: An Anthropological Survey of Practices and Beliefs which Threaten the Survival of the Zanzibar Leopard (Panthera pardus adersi). Zanzibar Forestry Technical Paper No. 63, Jozani Chwaka Bay Conservation Project, Commission for Natural Resources, Zanzibar. Walsh, Martin and Helle Goldman 2007. Killing the king: the demonization and extermination of the Zanzibar leopard / Tuer le roi: la diabolisation et l’extermination du leopard de Zanzibar. In Edmond Dounias, Elisabeth Motte-Florac and Margaret Dunham (eds.) Le symbolisme des animaux: L'animal, clef de voûte de la relation entre l'homme et la nature? / Animal symbolism: Animals, keystone of the relationship between man and nature? Paris: Éditions de l’IRD. 1133-1182. Walsh, Martin and Helle Goldman 2010. 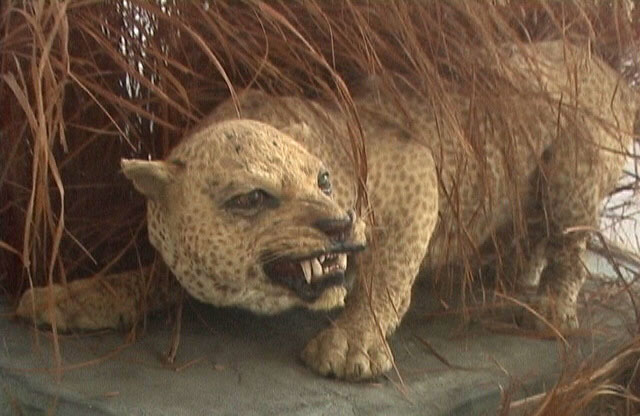 Chasing imaginary leopards: science, witchcraft and the politics of conservation in Zanzibar. Paper prepared for the VIII European Swahili Workshop, Contemporary Issues in Swahili Ethnography, University of Oxford, 19-21 September 2010.